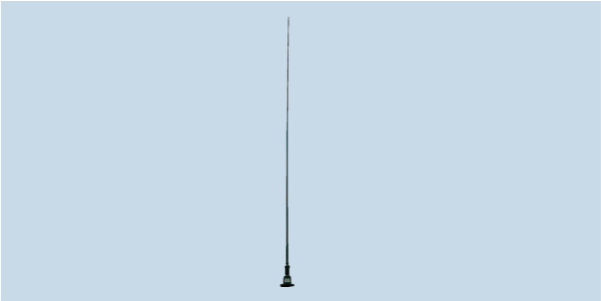 MONO-A0012 is an HF active monopole antenna covering 9 kHz to 30 MHz for use on vehicles and metallic structures for medium to long range HF monitoring. MONO-A0012 uses an operational amplifier as the active amplification component. MISC-A0022 is recommended for the power supply. When the antenna is not powered, the active matching and amplification circuitry is bypassed and the antenna operates as a completely passive receiving antenna. An integrated filter suppresses signals from the 88 to 107 MHz FM broadcast band.